Earlier this year, Forbes came out with their list of the top 20 markets where job openings, population, and home prices are on the rise. Orlando came in at an impressive number 3 spot. “Florida and Texas dominate, but solid markets can be found across the United States. For every city on the list, Local Market Monitor expects home prices to grow by at least 17% by 2020,” the article reads. 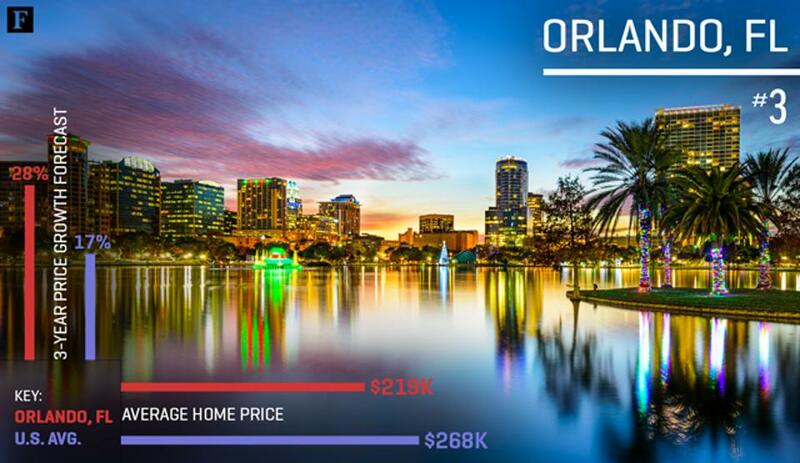 This economy growth shows that investing in a home in Orlando could be a smart financial move in 2017. To see what other markets made the list, click here.